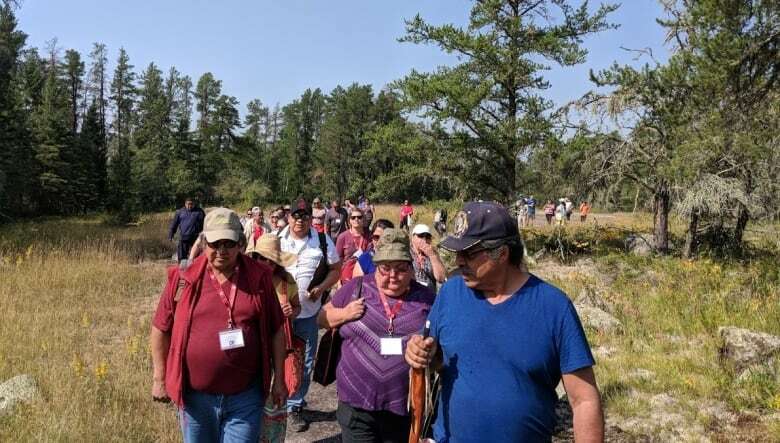 An Anishinaabe land-based education conference took participants out to the Whiteshell area of eastern Manitoba on Wednesday for some firsthand experience learning outdoors about Anishinaabe teachings and the significance of the area. 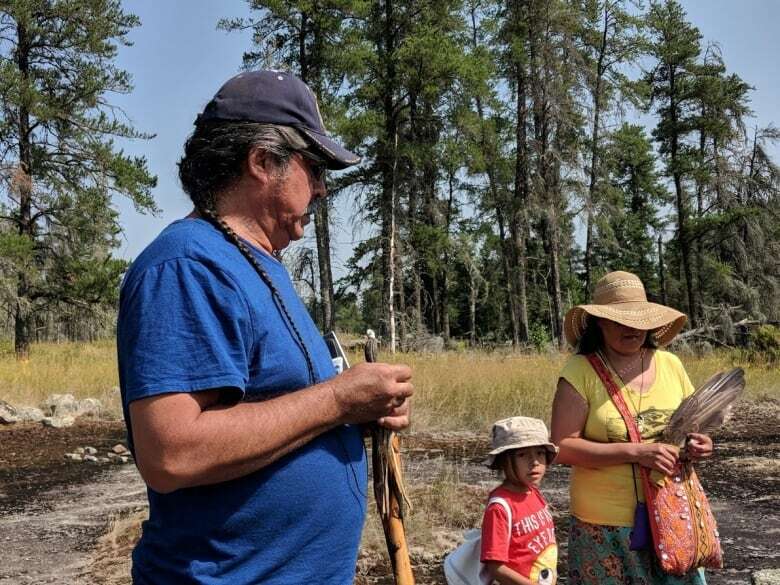 "To me this is an opportunity for people to learn a little bit about the land and our relationship with it," said Dan Thomas, an elder from Sagkeeng First Nation. 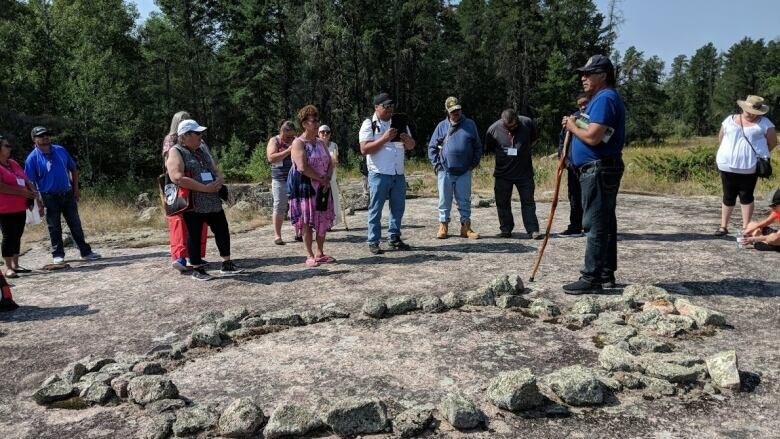 He helped guide a tour through the Bannock Point petroforms, which are located on the Canadian Shield and are described by elders as the place where the Anishinaabeg creation story began. The area is also described as "the heart of Turtle Island [North America]." There are rock formations in the shape of turtles, fish, and other animals which hold spiritual significance to local Anishinaabe peoples. Thomas, along with Diane Maytwayashing, guided the tour of nearly 30 people as part of the Anishinaabe Nations Land Based Education Conference hosted by the Southern Chiefs Organization in Winnipeg this week. 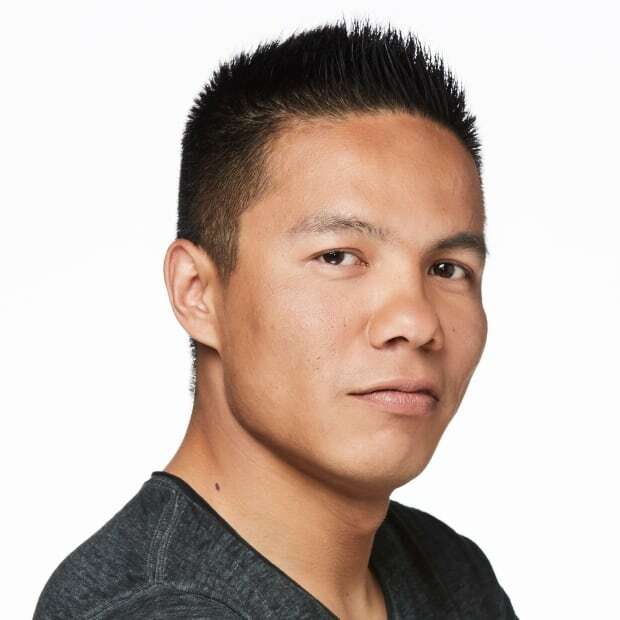 The goal is to bring together Indigenous Peoples from across the country to learn from each other and share ideas on how to teach land-based education to Indigenous students. Thomas said it's important for people to get away from the city and learn from what the natural environment has to offer. "We get everything from the land," said Thomas. "We get our language; we get our names. It's our connection to the earth in every way." Educator Josie Cox was part of a group that travelled from Chisasibi, a Cree Nation in northern Quebec, to attend the conference. Cox said in his community, the culture is strong but he is worried about losing the language. "We speak a lot of English and we want to turn that around," he said. "I was interested in seeing how these other nations are going about doing that." Natalie Daniels, Child and Family Services Liaison for SCO, said there's benefits to taking a break away from the distractions of living in the city and being able to learn directly from elders. 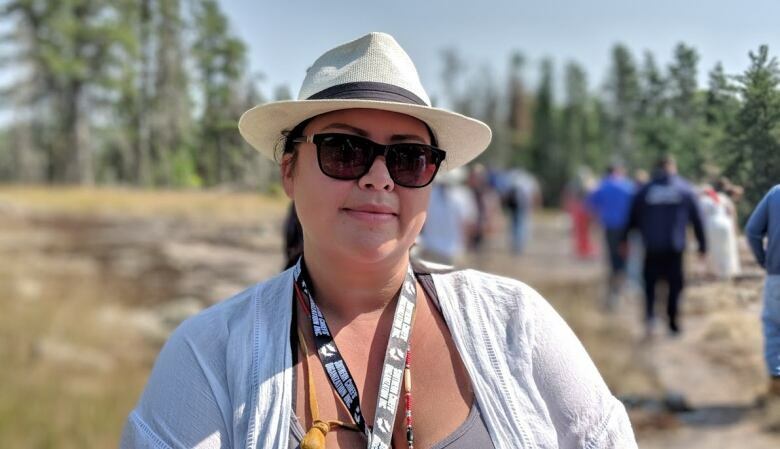 "Coming here to learn about who you are, who Anishinaabe people are, and hearing things from the language… that's a different feeling," said Daniels. "That's a different kind of education than learning from a book."